External Affairs Minister Sushma Swaraj, who underwent a kidney transplant on December 10, was on Monday discharged from the All India Institute of Medical Sciences (AIIMS), the hospital announced. 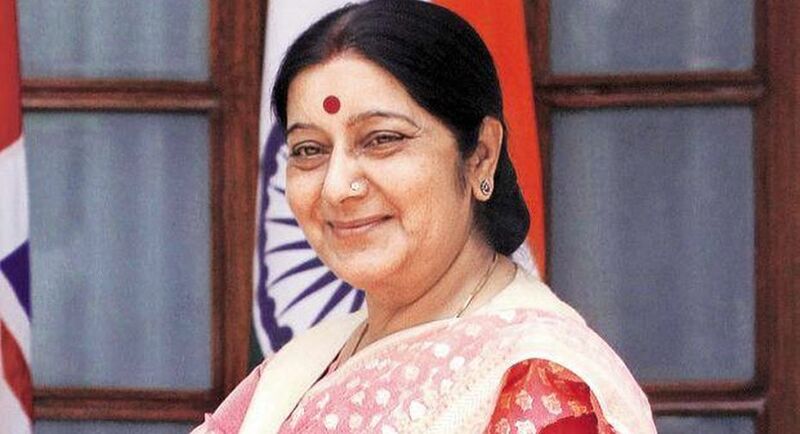 “MEA Minister Sushma Swaraj has shown a speedy recovery after her kidney transplant and has been discharged today (Monday),” said the statement issued by the AIIMS’ communication department. According to the authorities, the minister’s post-operative recovery was closely monitored by a team of specialists. They included transplant surgeons and a team of nephrologists, cardiologists, endocrinologists and pulmonologists, as well as anaesthesists and critical care experts. The team also included hysiotherapists, resident doctors and specialised nurses. Sushma Swaraj underwent the kidney transplant from an unrelated donor on December 10 at AIIMS overseen by a dedicated team of 50 medical staff, including several senior doctors like M. Minz, V.K. Bansal and Preet Mohinder Singh, led by AIIMS Director M.C. Misra. The three-hour surgery was performed at the Cardio Thoracic and Neuro Sciences Centre of the AIIMS. The 64-year-old minister, who has been in and out of AIIMS for the past few months, was admitted to the hospital on November 7.